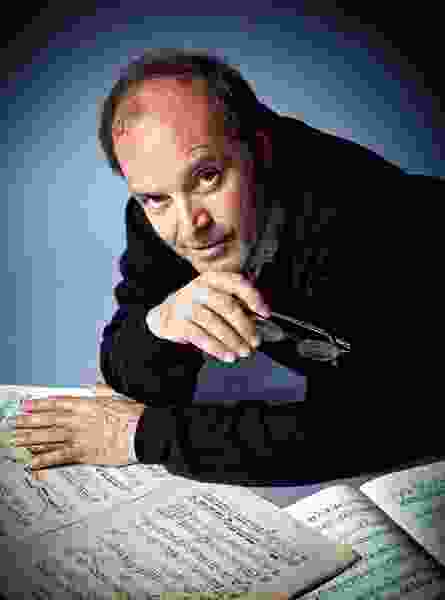 (Courtesy of Elias Photography) Pianist Louis Lortie will perform with the Utah Symphony. The Utah Symphony concludes its mini Saint-Saëns festival this weekend. Like last weekend’s program, this one pairs an obscure work by the French composer with two of his most popular works. Most of the concert is being recorded live for commercial release on the Hyperion label. Friday’s concert opened with “Urbs Roma.” It’s Saint-Saëns’ longest symphony, though he didn’t label it as such. If listeners couldn’t hum any tunes from this work going into Abravanel Hall that night, they surely could after hearing its third movement, in which a string motif repeated in a seemingly endless loop. Fortunately, it’s an appealing tune, and music director Thierry Fischer and the orchestra shaped it with care. The delightful “Carnival of the Animals” came next. The shimmering “Aquarium,” the jangling “Fossils” and the lumbering “Elephant” all made memorable appearances, but principal clarinetist Tad Calcara’s “Cuckoo in the Depths of the Forest” and principal cellist Rainer Eudeikis’ soulful “Swan” were audience favorites. Unfortunately, it’s cold season, and an unbilled chorus of barking seals in the audience made a guest appearance. (Presumably, those coughs — and the dropping of what sounded like a large boot during Calcara’s delicate final “cuckoo” — can be edited out of the recording.) Anchoring the performance was the sparkling piano duo of Jason Hardink and Kimi Kawashima. It’s a pity that the concert’s final work, Saint-Saëns’ Piano Concerto No. 2, won’t be included in the recording, because Canadian pianist Louis Lortie gave a performance of consummate elegance, combining refined expression and lightning speed. The program, which runs a little over 2 hours, repeats Saturday, Dec. 9, at 7:30 p.m. in Abravanel Hall, 123 W. South Temple, Salt Lake City; tickets at utahsymphony.org.